The Sportsman 1710 Camo model is an all-aluminum, all-welded fishing machine that will fit any experienced anglers' exact needs, thanks to its unique and versatile layout. 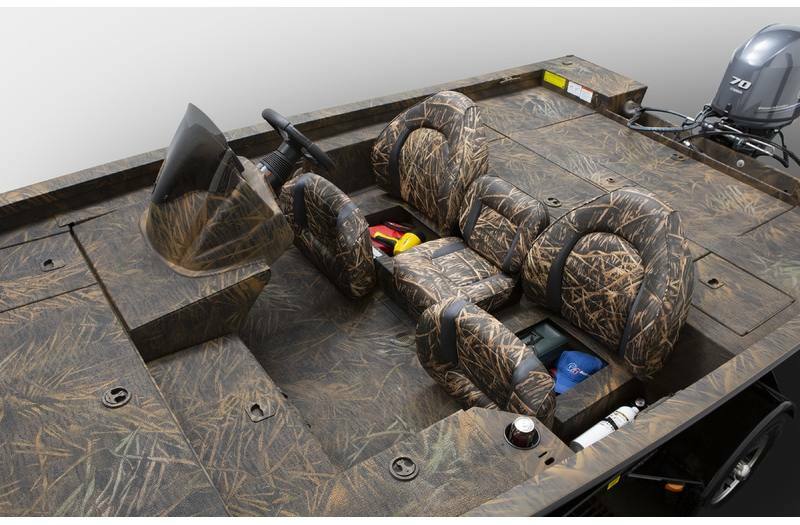 Compare the Sportsman 1710 Camo features to the competition and you will find more to enhance your chance for fishing success. The huge 45" divided livewell with insulated lid holds up to 33 gallons of aerated water to keep your catch fresh all day. 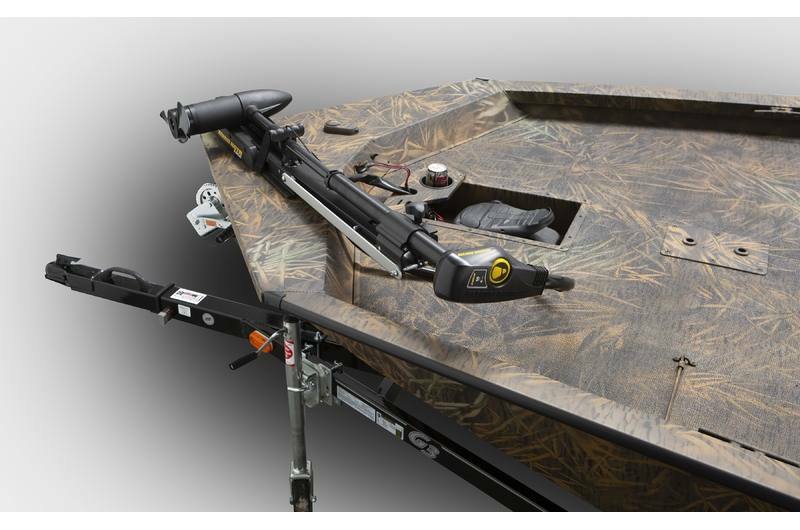 Rods are secure and organized with the Quick Draw system in the large rod locker, and storage is abundant throughout the boat. 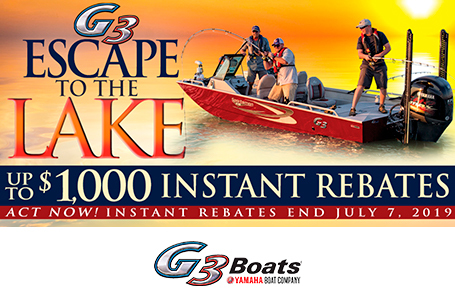 Yamaha power tops off this exceptional fishing package. Divided aerated 33 gallon live well has insulated live well lid. 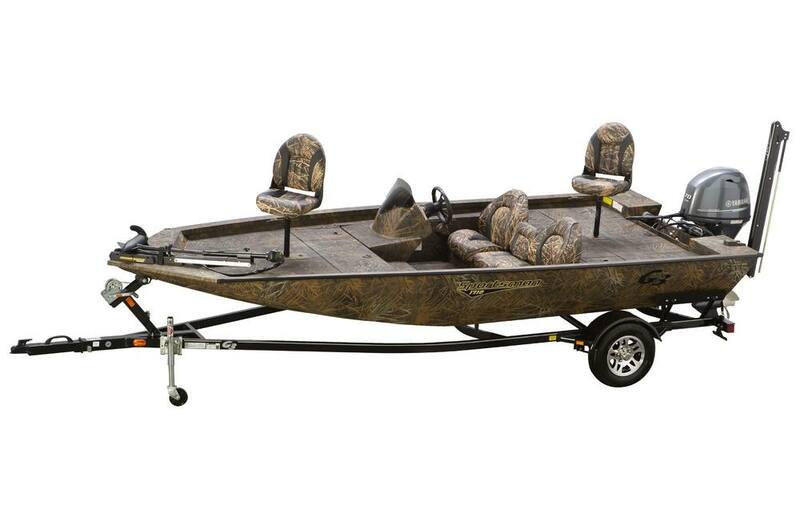 Minn Kota® 55 Edge™ provides quiet, dependable power. 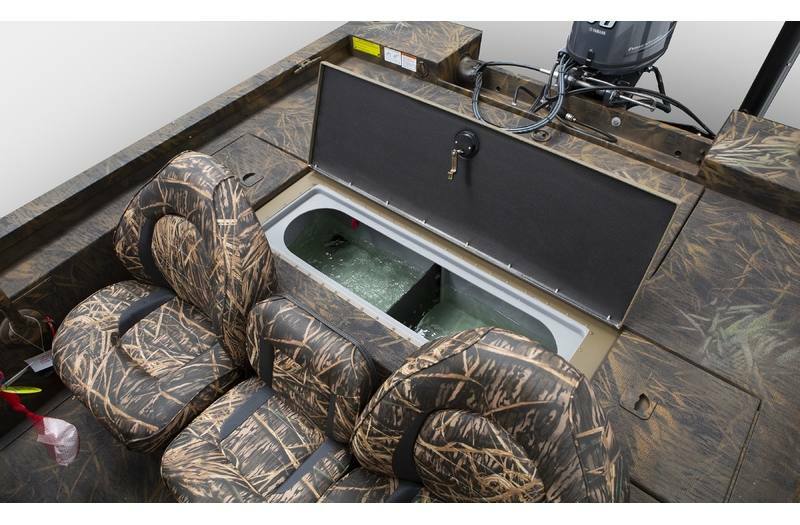 Three across seating provides easy access to under seat storage, plus a step to back. Boat Length: 17 ft. 10 in. 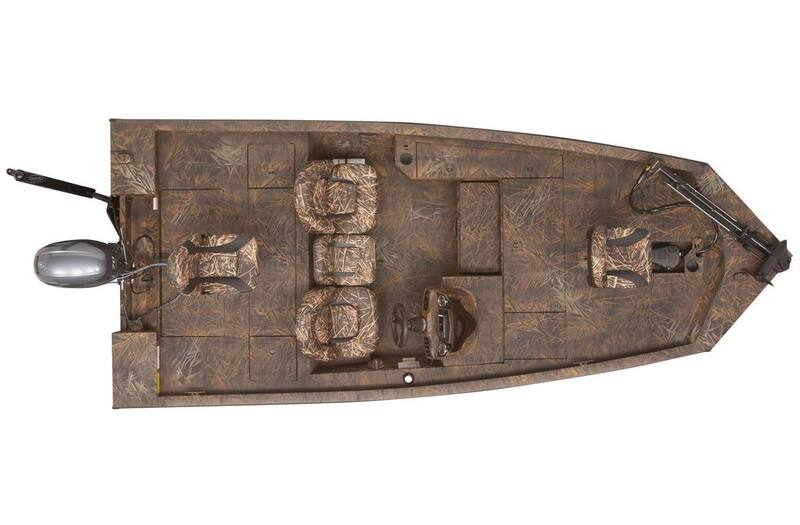 Dry Hull Weight: 1080 lb. Max Weight Cap: 1200 lb. Livewell Dimensions: 15 in. x 45 in. - 33 gal.